The Center for Media and Democracy outlined the ALEC agenda here. ALEC will hold its annual meeting July 27 – 29 in Indianapolis. 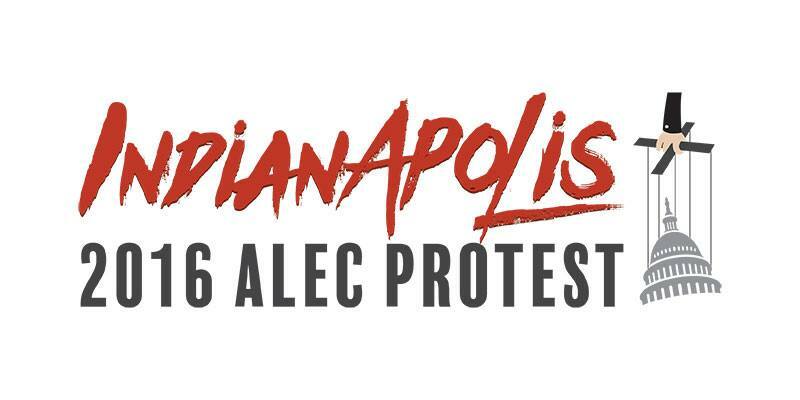 The damage done by ALEC sponsored legislation in Indiana is nearly irreparable. Join the Indiana State Teachers Association and other public education advocates in Indianapolis to rally against ALEC. Last month NPE Action issued a petition to the Democratic Party that described, in detail, what the party’s platform should contain. You can read that petition here. Many of you, along with 47 pro-public education grassroots groups, signed on. Thanks to the efforts of Chuck Pascal, Troy LaRaviere and others, parts of our petition made it into the platform via amendments. You can find those amendments here. Search for the amendments proposed by Chuck and Troy. Democrats for Education Reform (DFER) were not pleased. You can read here about their dismay with the significant changes in the language. NPE Action sent a similar petition to the Republican Party, which you can find here. 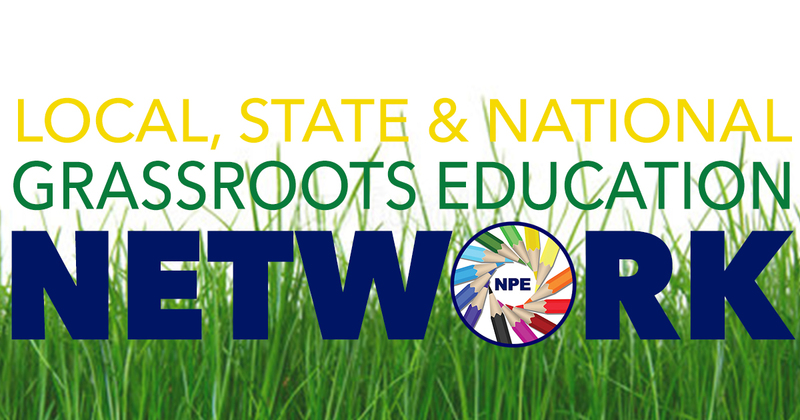 The Network for Public Education is launching the NPE Grassroots Education Network, an exciting service initiative to help local organizations fight back against corporate reform. NPE believes that it is our obligation to better serve allied groups in the struggle to preserve, promote, improve and strengthen our public schools. Your local or allied group’s participation in the NPE Grassroots Education Network will not only help your organization reach more people who care about your issues, but it will also serve to strengthen the national movement to save our public schools. NPE wants to amplify your voice and forge alliances as we all fight together to strengthen and preserve our public schools. To learn more and sign up to be part of this exciting new initiative go here. 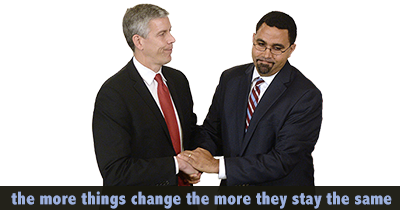 Network for Public Education began a campaign to fight the “test and punish” ESSA regulations proposed by John King. NPE’s careful analysis was cited by Lamar Alexander, and he placed the statement into the record during the July Senate hearing. Please continue to pressure your representatives using NPE’s letter writing campaign, which you can find here. Every state education department is also giving feedback on the ESSA regulations. Share our analysis with your state education department as well as parent and teacher groups. The deadline to give input is August 1. There is still a small window of time. Network for Public Education Action is a 501 (c)(4) organization. You can make a non-tax deductible donation here.